The last couple weeks, I have done a lot of soul searching. I’ll be honest, I’m often filled with self-doubt. The role of public education advocate is such an odd one. There is no money in it. It’s time consuming. I’m not a teacher, and therefore don’t have that experience or knowledge base to draw on. You never know if you are really making any kind of difference at all. Often times you feel like you are walking out into your backyard and screaming into the void while the neighbors snicker at you. “There’s crazy Uncle TC railing against the privatization of public education again. Does he have his tin hat on tonight?” But then there are nights – like this year’s school board election night – that change everything. This summer, Nashville has been embroiled in a bitter school board race that lined up the charter school supporters against the incumbent board members who are skeptical of charters. Five seats on the MNPS school board were up for grabs, with incumbents – and ardent public school supporters – in four of them. But District 5 was up for grabs because incumbent Elissa Kim chose not to run again. Two main candidates quickly emerged, with Miranda Christy falling into the charter supporter camp and Christiane Buggs more closely aligned with the incumbents running for re-election. Adding fuel to the fire was national education reform advocacy group Stand For Children, who flooded the race with cash. The race this summer was absolutely insane. Like you-can’t-make-this-stuff-up insane. You had SFC flooding people’s mailboxes daily with opposition fliers, some even arriving the day after the election. You had a challenger in one race who probably should have been more forthcoming about his questionable past. There was the apparent coordinating between Stand For Children and a well-respected non-profit organization, not to mention an email that showed charter school leaders working to get school board members elected who were sympathetic to their issues. The local teachers union mistakenly sent out mailers that gave the impression that Buggs was an incumbent. The most vocal of the incumbents, who was endorsed by the local paper, became the recipient of a hit piece by that same newspaper four days before the election – a piece that revealed no new information and left out the fact that several of its sources were on the opposition’s payroll. Luckily, the local alternative newspaper rose to the challenge and pointed out the omissions. 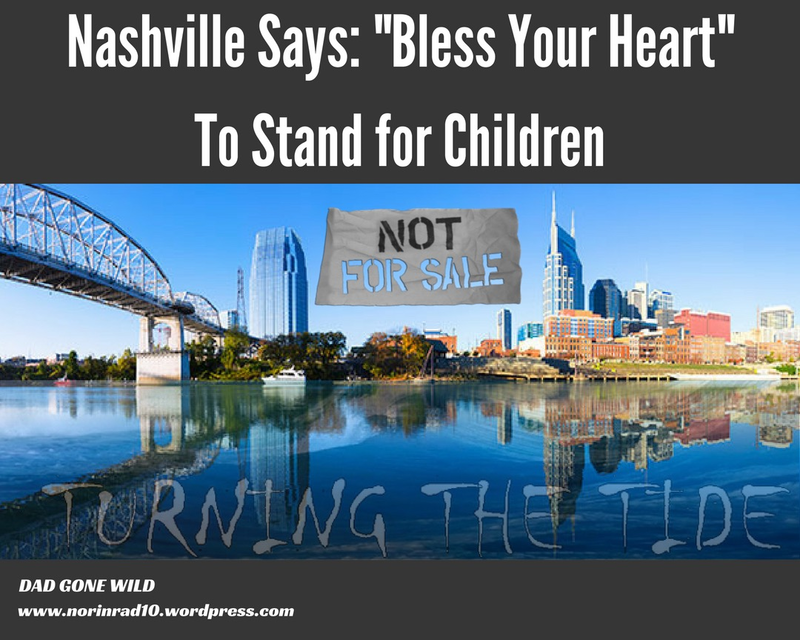 Two days before the election, a parent, along with Tennessee Citizen Action filed a petition for an investigation into potential campaign finance violations by Stand For Children. On the eve of the election, I was filled with trepidation, praying that SFC wouldn’t be able to buy more than two seats on the board. Then the craziest thing happened: the voters cast their votes, and they saw through all the distractions to send a loud and clear repudiation of SFC and their cohorts. Jill Speering won with over 60% of the vote. Amy Frogge won with over 60% of the vote. Christiane Buggs won with over 50% of the vote in a four-person race. These are not close margins. The only race that was close was Will Pinkston’s race. He won by 36 votes, but considering all that he faced in the week leading up to race, it was amazing he was even standing. SFC had only one victory in this school board race when Sharon Gentry won, though she was not a beneficiary of their financial generosity, having received only $6k that came with their endorsement. But her challenger, Janette Carter, still managed to amass 3,200 votes out of roughly 8,000, with many of those votes coming from the congregations of local AME churches. Not a good sign for Gentry. The results are a clear reaffirmation of the issues public education advocates across the city have been working on for the last several years. What makes things even more special is that this wasn’t a victory by one small group of advocates in one district. No, this was a true grassroots collection of city-wide advocates focusing not just on their district races but on all races. Over the last several months, through social media, these separate individuals from different pockets of the city reached out to each other and banded together across the city for the cause of public education. No one had the luxury of drawing a paycheck from a foundation. The work on these winning campaigns was all done by volunteers. Calls were made to potential voters between dinner preparations and putting the kids to bed. Door knocking was done between running errands on the weekend. Teachers would set up their classrooms in preparation of the start of school and then come hold signs at the polls for a couple hours. The other amazing thing was the lack of any clear-cut leader. No one person called the shots or directed strategy in this movement. The candidates were obviously the rallying points, and as such, would offer some direction, but others would take point based on their recognized skill set and what was needed. It was really quite remarkable, especially since none of these parents and teachers had completed any kind of activist training that some parent organizations deem necessary. Stand For Children has to be completely flummoxed by the election results. A loose union of parents and teachers – with no clear hierarchy, no clear messaging other than to tell outside forces and charter operators to back off, and not even an agreed upon method of communication (there was varied use of text messages, Facebook Messenger, Twitter, Slack, and occasional phone calls) – managed to decimate their three-quarters-of-a-million-dollar summer project. How do you explain that to the billionaires pouring money into school board races? Seems to me that this calls for a complete re-evaluation of SFC’s purpose, and there are some who hope that this will lead SFC back to its origins. Equitably-funded schools that have small classes, well-trained teachers, high standards, and involved parents. Funding things like these that are truly needed in schools would certainly have a greater payoff in the long term than the money poured into this past school board race. In looking at the total amount of money raised by all the candidates breaking it down to what it cost per vote cast for each candidate, all the SFC-endorsed candidates who lost had more outside donations from SFC and the like (with one exception discussed below) than the winners: Miranda Christy spent $40.68 per vote, Jane Meneely spent $29.14, Jackson Miller spent $40.19, and Thom Druffel spent $20.70 in their losing efforts. In comparison, the winners raised less money, and their cost-per-vote was significantly lower: for Christiane Buggs it was $12.92, for Jill Speering $13.66, and for Amy Frogge a mere $6.44. The only outlier was Will Pinkston’s race, where he raised more money than Miller and still won. What’s more, these totals do not include the money spent by Independent Expense Committees – Stand for Children’s IEC spent $55k per race in just the last month alone. And I know that this is not the most accurate breakdown, as winner will always have lower cost, but it does attach a value to what they purchased and that’s worth seeing. The big take away in all of this is that democracy still matters in America. Parents and teachers – if they commit to working together and don’t get intimidated by the big bucks and attitudes of reformer groups like SFC, DFER, and the like – can still win. They don’t need to be trained in the ways of activism. They just need to educate themselves and speak out. Their authentic voices will resonate. A few other things to take away: Former Nashville Mayor Karl Dean liked to refer to himself as the education mayor. As such, he promoted the introduction of Teach for America in Nashville and the unchecked growth of charter schools. His policies made the ground fertile here for groups like Stand for Children. But this election is a clear rebuke of those policies. That has to be a concern for Dean now, seeing as he is considering mounting a run for governor. In a statewide race, his education policies will certainly come under close scrutiny, and Nashville’s rejection of those ideas don’t make a strong case for him. The relevance of the local newspaper, The Tennessean, also took a hit. At a time when new media is rapidly replacing the old guard, the last thing you want to do is appear out of touch. Which is exactly how The Tennessean appeared. While all but two of their endorsements managed to win, it seems like it was almost in spite of their endorsement instead of because of it. Readers clearly rejected their assertion that Amy Frogge was derisive and Christiane Buggs needed more seasoning. They also saw right through the hit piece on Pinkston, recognizing it for what it was: an attempt to influence an election. It had to sting a little bit when the alternative paper, The Nashville Scene, pointed out their inconsistencies. Speaking of the Nashville Scene, reporters Amanda Haggard and Steven Hale, along with editor Steve Cavendish really did a great job of helping people navigate the waters and even called out the election commission when they were slow to publish disclosures. Nashville’s citizens sent a message that it is time for a new conversation on charter schools and reform policies. They are much more educated and astute than SFC gave them credit. It’s ironic that in an election with so much focus on bullying that it was the bullying of outside money that was firmly rejected by voters. For years, Nashville’s charter operators have bullied themselves to the top of the agenda. With these victories, we finally have the ability to move them down so we can focus on more important issues like educational equity, teacher retention, the impact of testing on students, and improved English learner services, among others. It’s imperative that the new school board act now on these mandates. Mayor Megan Barry and others decried the tone of the race, admonishing that both sides needed to tone down the rhetoric. It’s understandable that one would make such a complaint when they are exposed to the tactics of Stand for Children and the charter school operators only during election season. Those of us who interact with them on a more consistent basis understand that it’s not possible to tone it down until they stop referring to their advocacy in military terms. It also won’t happen until people become much more transparent with their intentions. I’d also politely remind the mayor that her own race wasn’t exactly genial. We are nice folks here in Nashville, but please don’t underestimate us. Today is a good day. Not just for Nashville, but for everybody throughout the country who believes in public education. What has happened in Nashville is proof that the conversation about what is needed in public education is changing. People are recognizing that the policies of the reform crowd are not good for kids. We need to seize on this momentum to drive home policies that are good for kids, like equitable funding for our schools, increased daily recess time, decreased emphasis on testing, empowering teachers, and more. Reformers like to point to Nashville as a “model” for their success stories. This election now provides a model on how to fight back and win against corporate reform. We need to remember, though, that these victories are hollow if we just celebrate the political wins and then don’t show up to put in the work in at our schools. Nobody believes that our schools are currently the best that they can be, nor do we deny that for years they have come up short for many children of color. By recognizing those facts and using the support we’ve created, we can finally address those shortcomings in a meaningful manner. It would be a great tragedy if we as citizens failed to grasp this opportunity. On election day, I heard a story about a mom who watched the conversation unfold this summer and as a result, felt empowered enough to pull her child from a perceived high-performing school in order to enroll her in their neighborhood school. Another neighborhood leader was so inspired by the election results that she is planning to commit to recruiting young families to support their neighborhood school. We need more of those stories, and if we keep working together and remembering what’s important, we will hear them. It really feels like a new day is dawning. And Stand for Children… as they not-so-nicely say here in the South, bless your heart. Your efforts were certainly not in vain. This blog is influential. I am in Missouri and I read it faithfully! Thank you, Nashville parents, communities, and voters. You are an inspiration for the rest of the country! Here in the Northeast, we are watching the outside-reform-groups’ big-money push for more charters in CT and in MA. If Nashville can keep its school decisions local, there’s hope for CT and MA! I, too, am from Missouri. We’re all in this together. Way to go Nashville!